A woman is murdered, shot, A young child, Gillie, witnesses the killing through the letterbox.The neighbours ignore the shots, thinking the sounds are those of Gillie's toy cap pistol. Gillie takes the murder weapon, but is seen by the murderer, but he can do nothing, because there are too many people about. However one of the neighbours discovers the body, after the murderer has fled, and the police are called.When the police arrive, one of them,Superintendent Graham questions Gillie and her aunt, Mrs Phillips.Gillie gives a false description of Bronik, the murderer. 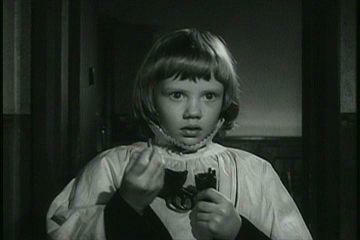 The police allow Gillie to leave to sing at a local wedding, but Bronik tracks her down at the church. After the wedding service, he chases Gillie and wrestles the gun from her. 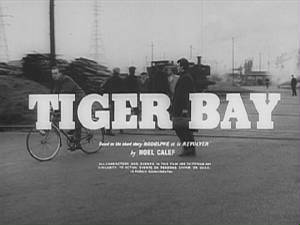 Tiger Bay is representative of the pinnacle of traditional black and white cinematography, with every scene and shot beautifully lit and composed. 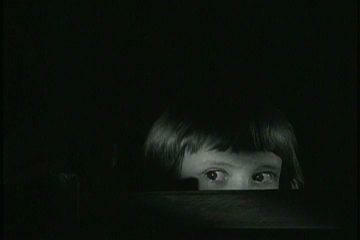 And that says it all, about this stunning little film. 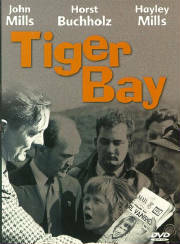 Tiger Bay was notorious. A slice of red-light district and gambling dens between Cardiff's city centre and its docks, and home to a rich mix of multi-racial communities, it had a powerful character of its own. Its rundown terraces, pubs and shops were demolished in the late 1960s, and now restaurants and sought-after executive flats stand in its place.